The weatherman said ‘thaw today’ and so, after several days of snow, I had to make a mad dash to capture some of the white stuff on film before it melted away for good. Snow always looks its best when it is new laid and virginal but I was at work during the days when the blizzards struck and only had any free time at the tail end of what is getting to be (because of global warming?) an increasingly rare phenomenon; London snowfall. I wanted some cemetery pictures and couldn’t make my mind up between Brompton in Earls Court and St Patrick’s in Leyton. I plumped for St Patrick’s because it is closer (just a few stops down the Central Line from me) and because I thought it would have had fewer visitors during the cold snap and therefore be more likely to have undisturbed snow. 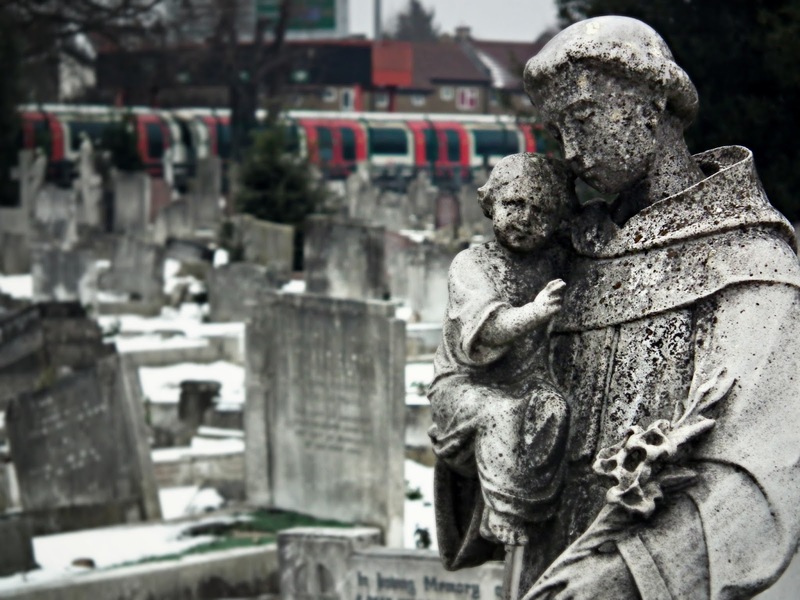 St Patrick’s is an interesting cemetery; it opened in 1868 and is one of only two Roman Catholic cemeteries in London. It is unique in being the only London cemetery of any note without its own Wikipedia page, despite it probably being the capitals most visible cemetery. 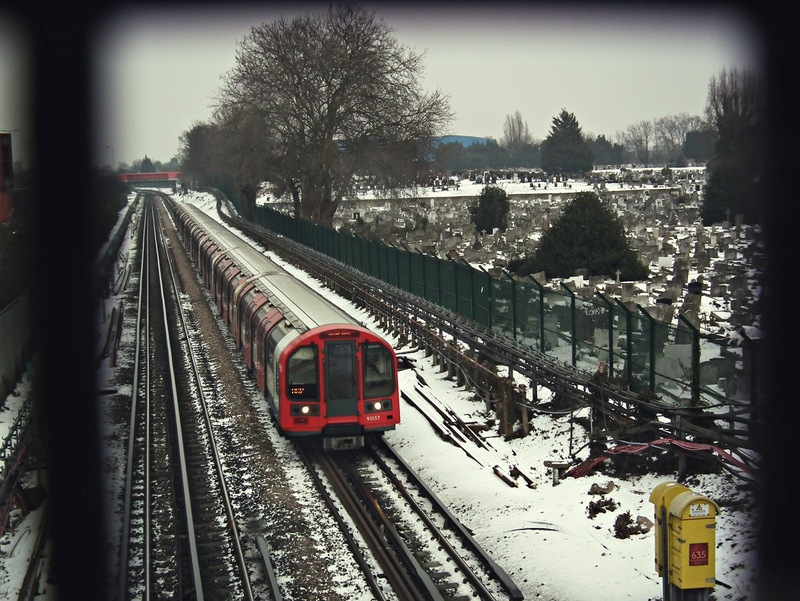 Its visibility is the result of the Central Line running along its entire northern boundary so that every day thousands of commuters watch it flash by on the run into Leyton or Leytonstone stations (depending on which direction they are coming from). 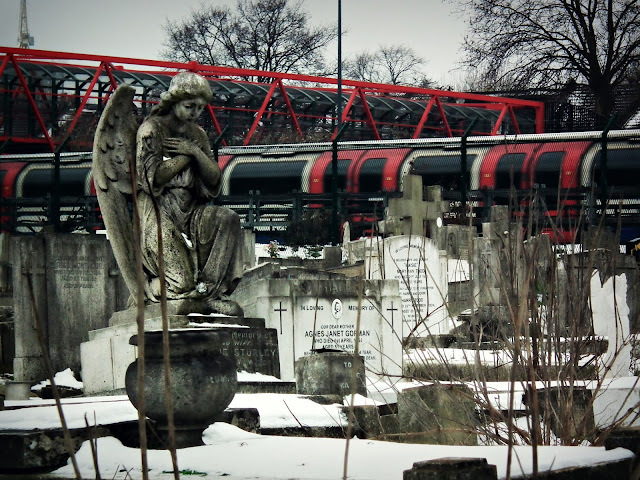 There is a pedestrian bridge over the tube line from where it was once possible to get an excellent view of the cemetery. The wonderful Marc Atkins took the justly famous photo below from the bridge before the pedestrian bridge was encased in a clear plastic tunnel. The plastic swiftly became opaque through scratches and the effects of inclement weather and the view of the cemetery was apparently lost for ever. The plastic has now gone but only to be replaced by a thick metal mesh (those inconsiderate suicides who end it all by lobbing themselves in front of tube trains have a lot to answer for) which does allow a broken view but it is impossible to get the wide angled view that Atkins took – as you can see from my miserable attempt at the same shot above. 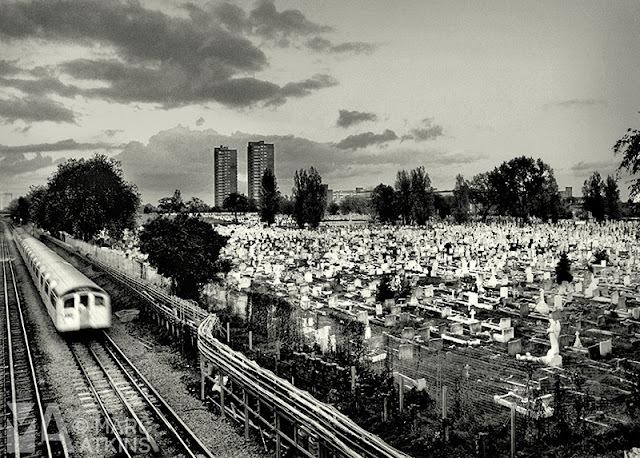 St Patrick’s is intensively worked– 170,000 burials in its 43 acres by the 1980’s and still very much in use today. The graves are tightly packed together with seeminly every square inch of land within the walls used; new areas for burial are being created by piling six feet of earth over areas of old graves. 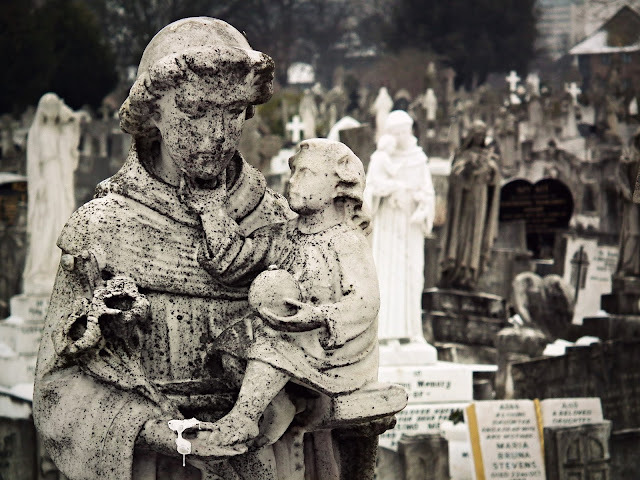 Some oft quoted research by online estate agents HouseSimple.com discovered that houses near cemeteries are often worth up to 25% less than comparable properties in the same area that don’t have a view of the local burial ground. It claimed that house prices near St Patrick’s were particularly affected by this phenomenon; in fact it claimed the ‘grave effect’ was the worst in the country “the average property price overlooking St Patrick’s Cemetery in Leytonstone is £258,400, compared to the postcode average of £511,311. That’s half the average property price in the E11 postcode” despairing home owners were told. I am not convinced; E11 is a sharply divided postcode, with house prices in deprived Leyton and Leytonstone being a fraction of those in affluent Wanstead. 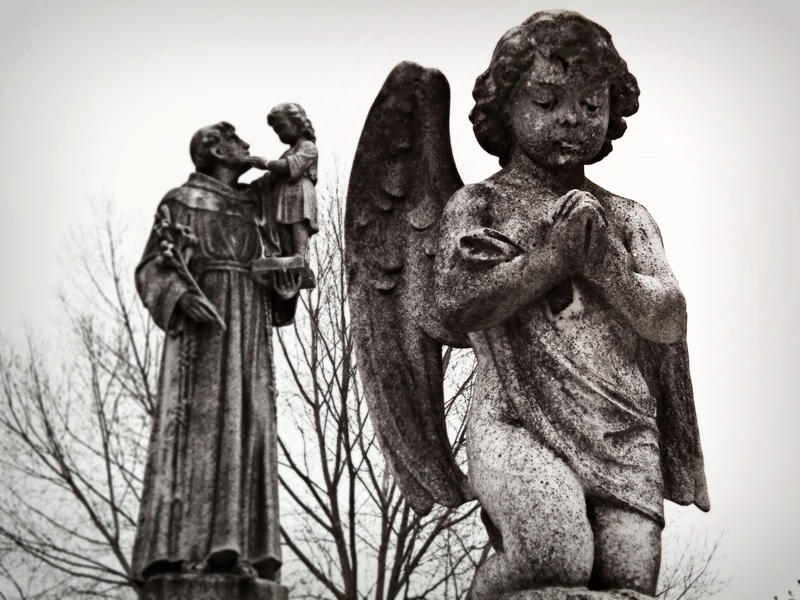 What is there to object to in overlooking a cemetery? Peace and quiet and neighbours that never bother you; I’m surprised it doesn’t attract a house price premium. I had the cemetery to myself as it was bitterly cold with the sub zero wind still carrying the tang of Siberian tundra gusting between the graves. The cemetery wall provided some protection from the icy blast. 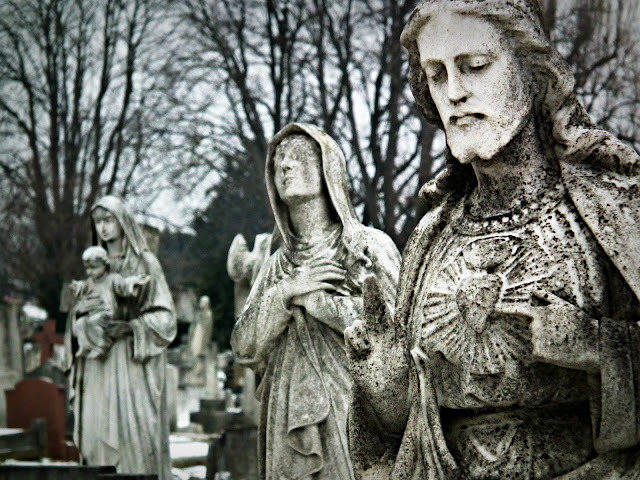 I was lucky it was still there as at least twice in the last year thieves had attempted to steal it; John Sears the cemetery superintendant, told the Daily Telegraph “the last thing in the world you think is going to get stolen is your wall." It is not the wall per se that is attractive to thieves but what it is made of – yellow London Stock bricks. This classic London brick was made from the late seventeenth century until the close of the Victorian era and is now in high demand because some local authorities insist on them being used as a condition for granting planning permission to build extensions in conservation areas or if the property is listed. The glut of wealthy home owners wanting to expand their living space has pushed up the price of salvaged stock bricks to giddy heights – there have been reports of bricks going for as much as £15 though £1.50 seems a more normal price to pay. The market in black market yellow bricks had led to a wave of attempted brick thefts across East London. Garden walls (and cemetery walls) are particularly vulnerable as they can be easily demolished by anyone with a SUV who doesn’t worry about scratching their paintwork – a good push in first gear is often all it takes to reduce a wall to rubble which can be stowed in the back of the car and hauled off to an architectural salvage yard. After half an hour wandering the graves, trying to find decent angles for my shots, I was joined by a woman walking her dog, a ferocious looking Rottweiler/Timber Wolf cross that prowled around the place as though he owned it. I was busy minding my own business, trying to set up a decent shot and avoiding frostbite. There was just the two us and the dog in 43 acres but the two of them circled around me as though they were drawing in for the kill. Every time she passed me the woman glared at me, making sure she caught my eye and that I was aware of her hostility. It can’t have been that she was intimidated by a lone (ageing) male, skulking suspiciously amongst the tombstones; she had the Hound of the Baskervilles chaperoning her ready to rip open the throat of anyone who gave her so much as a crossed look. The only possible thing she could have objected to was my taking photographs. She seemed mortally offended though didn’t actually say anything to me. St Patrick’s doesn’t have a no photography rule as far as I know. It does have a no dogs policy though – I noticed it on the prominently displayed bye-laws as I went in. For me using a cemetery as a dog toilet is far more disrespectful that taking photos of graves. Not that I would say that though to an irate woman leading a slavering one headed Cerberus around on a flimsy leash. ATTEMPTED SUICIDE HIS MOTHER’S GRAVE. 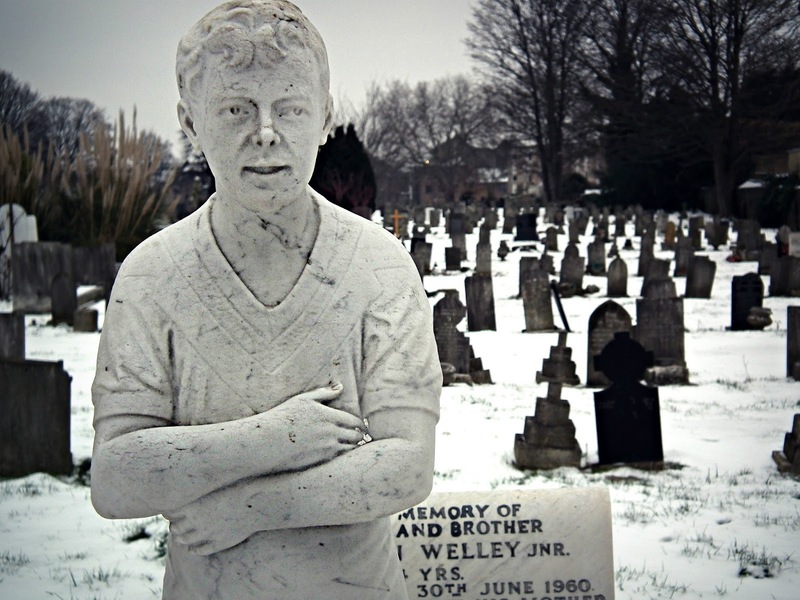 At Stratford Monday James Aley, a weak looking lad of Granville-terrace, Ilford was charged with attempted suicide by drinking a quantity of oxalic acid in the Leyton Catholic Cemetery. PC. Davis said on Saturday morning the prisoner was brought to him by the Superintendent of the Leyton Catholic Cemetery. On being charged, he said;— Yes, I took the poison. I am tired of life. 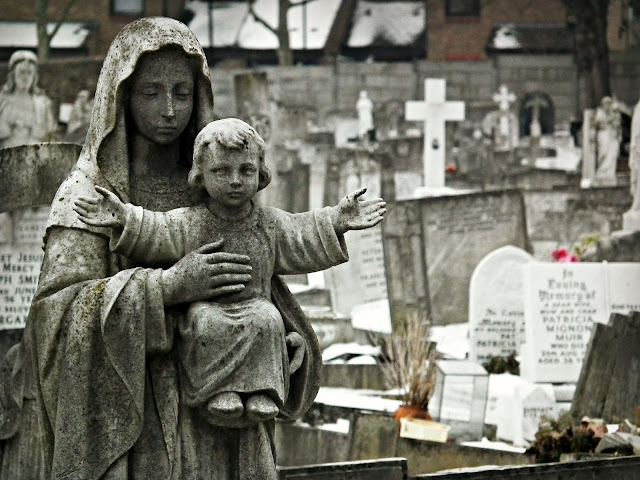 Mother and sister are buried there. Leave me alone; I took some to kill myself. Father and step-mother keep jawing me because I can get no work; I left home at eight o’clock Thursday morning, and slept at night on the Wansted Flats. I tried for work on Friday, and walked about all night. Prisoner; It’s all through my step-mother. Mr. Carter JP: Haven’t you any brothers or sisters?—Yes; but they don’t live at home. Step-mother drove my sister away. Mr. Carter; You will be remanded; and we will see if we can get you work. The prisoner was found by the Superintendent lying on his mother’s grave, and by his side was a bottle of oxalic acid, some of which he had drunk. When Sheldon Goodman of the Cemetery Club visited St Patrick’s he found the Nun’s grave and Mary Kelly’s with little apparent effort. His ability to home in notable graves is legendary, according to him anyway. He doesn’t seem to spend hours aimlessly circling cemetery paths or working his way methodically up and down endless rows of seemingly identical tombstones only to not find the grave he is after. He just whips in, sniffs the air a couple of time and sets off in hot pursuit of the scent of whichever dead person he is tracking down. After a couple of hours in St Patrick’s my fingers were too numb to press the camera shutter and I was in danger of losing my toes to frostbite. I decided to call it a day and return in more temperate weather to make a last attempt to find the Nun’s at least.